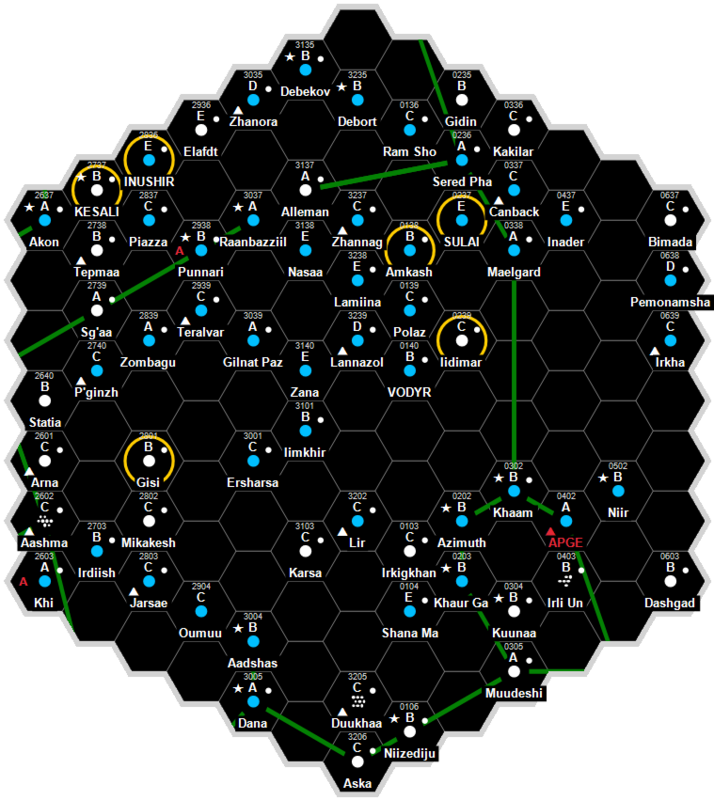 This is a world-system under construction and is currently being input-programmed into the Traveller RPG Wiki. Zell is a nonindustrial world, that requires extensive imports of outside technology to maintain a modern, star-faring society. In a technological universe, societies without industrial capability generally suffer as nearly all manufactured and high tech goods must be brought in at significant cost. As a nonindustrial world, it requires extensive imports of outside technology to maintain a modern, star-faring society. The need to import most manufactured and high technology goods drives the price of these goods up in the open market. It is a member of the Third Imperium in the Ahrhi Subsector of Old Expanses Sector in the Domain of Sol. Zell, as a member world of the Third Imperium has a member of the Imperial Nobility overseeing the world. It holds the estate of an Imperial knight. This article is missing content for one or more detailed sections. Additional details are required to complete the article. You can help the Traveller Wiki by expanding it. This article was copied or excerpted from the following copyrighted sources and used under license from Far Future Enterprises or by permission of the author. This page was last modified on 10 June 2017, at 22:09. Content is available under Traveller Copyright.